Every day, millions of packages arrive at online shoppers’ doorsteps, after having traveled hundreds, even thousands of miles from ports to warehouses to delivery hubs and finally to homes. And in keeping with California’s climate goals, companies in the business of moving goods are being asked to cut greenhouse gas emissions in this heavy polluting sector. However, freight and delivery companies are finding ways to pass on the responsibility of cleaning up fleets to individual drivers, while minimizing their own investments. One could argue that this is what corporations do in a world driven by capitalism. I would argue that this is what corporations do when we don’t have policies that protect workers or incentivize companies to do the right thing. I know this from my work representing more than 100,000 Teamsters from 23 locals, who drive delivery trucks and trains, maintain locomotive tracks, move cargo in and out of ports, among a multitude of other jobs in recycling, waste management, and food processing. A big part of our role as a union is to prepare our workforce for changing technologies. We helped the industry transition from horse-drawn carriages to motorized trucks more than a century ago; autonomous vehicles are sure to bring another wave of change. But the biggest challenge we face today isn’t coming from technology. It’s coming from the steady erosion of the social contract between employers and workers. Companies are competing in a race to the bottom by moving freight as cheaply as possible, which has given rise to the insidious model of hiring truck drivers as independent contractors. The cost of buying the trucks, paying for fuel and maintenance, and maintaining health insurance are all shifted to those who are least equipped to bear that load: individual truck drivers. Meanwhile, antitrust legislation that was once designed to keep the owners of railroads from colluding is now being used to keep immigrant long haul truck drivers, port drayage truck drivers, and Amazon Flex drivers from being able to organize and fight for a living wage. Truck driving has literally become a sweatshop on wheels. If this model seems a little fishy, it’s because it is. Classifying these drivers as independent contractors is downright illegal. A landmark case argued before the California Supreme Court established a series of three tests known as the “ABC test,” one of which says that if the worker is doing work that is in the company’s primary line of business, they should be classified as an employee. This ruling is an important recognition of the problems that occur when misclassification robs workers of their basic labor protections such as minimum wages laws and the right to organize. Misclassification also undermines California’s climate goals because it shifts the responsibility of purchasing and maintaining cleaner trucks to very low-income truck drivers who do not have the means to do so. The only way to manage the transition to cleaner vehicles is to ensure that responsibility of owning, operating, and maintaining fleets rests with trucking companies, who have the negotiating power to share costs with cargo owners like Walmart and Home Depot. The Teamsters have been working for years now with environmental justice advocates to improve the air quality, health and economic well-being of the front-line communities and workers who are affected by the low road practices of the trucking industry. This coalition, known as the Coalition for Clean and Safe Ports, has campaigned for changes and developed policy solutions that are beginning to gain traction. We also have found champions in California state policymakers. Then-State Senator Ricardo Lara—now California’s Insurance Commissioner—introduced legislation, signed into law in 2018, that holds retailers who hire trucking companies with known labor law violations liable for those violations. 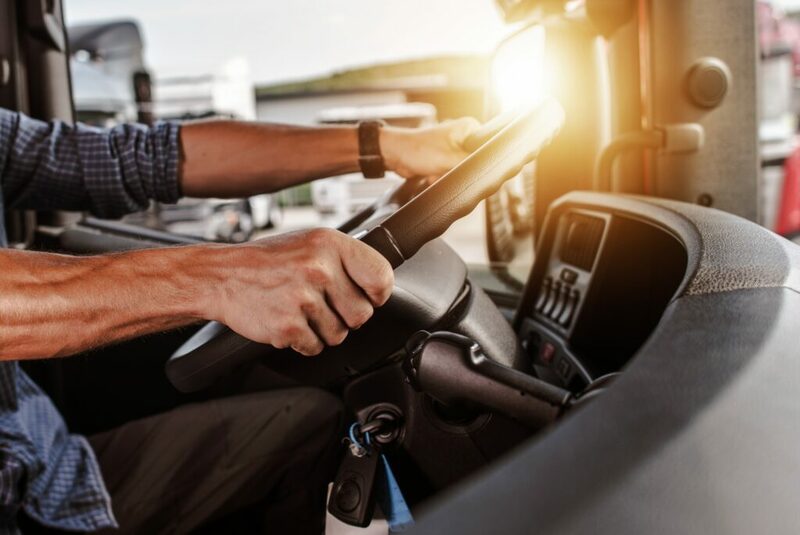 This strengthens protections for truck drivers from exploitative practices such withholding wages, imposing unlawful expenses, or misclassifying them as independent contractors. These signs of progress show that we can have it all—good jobs, clean air, and yes, two-day shipping—as long as policies align to support responsible employers and bolster the rights of workers.